If you find yourself in the mood to visit Southern California then by all means a trip to SeaWorld San Diego should be high on the to-do list. The marine park is already in full swing with Summer Nights – including special nighttime animal shows and fireworks on select dates through September 7. SeaWorld San Diego also just launched a new show, “Dolphin Days,” which features bottlenose dolphins and short-finned pilot whales displaying their quickness and nimble aerial skills. 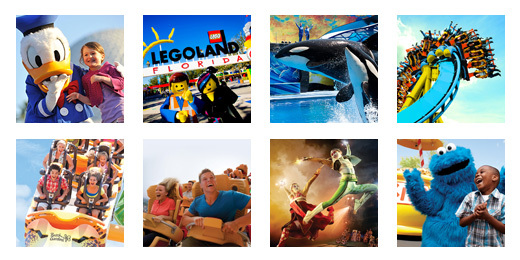 The theme park is jam-packed with exciting and educational family-friendly entertainment all yearlong. Buy your SeaWorld San Diego tickets and passes with TicketsatWork.com and experience a truly remarkable blend of marine-life shows, thrill rides and animal habitats. Shamu, of course, is the big star around SeaWorld San Diego, and his spectacular One Ocean show remains a must-see! Other attractions include Journey to Atlantis, Shipwreck Rapids and Manta, SeaWorld’s double-launch, multi-media roller coaster. You can also delight in feeding and touching dolphins, plus get up-close to beluga whales. For a tranquil experience there’s Turtle Reef, where guests can see dozens of sea turtles swimming in their 280,000-gallon habitat. Get a dose of comedy at the entertaining sea lion and otter show with Clyde and Seamore. So many amazing things happen at SeaWorld San Diego, for the guests and behind the scenes, such as a new study being conducted on Corky, one of the killer whales at SeaWorld San Diego. The study, designed by Dr. Paul Ponganis, a research physiologist at Scripps Institution of Oceanography at UC San Diego, will provide valuable veterinary diagnostic benefits as well as help scientists better understand diving physiology in cetaceans in the wild. Dr. Ponganis is currently studying electrocardiograms and heart rate of Corky, as well as other animals at the marine park. The study will not only benefit veterinarians’ diagnostic efforts, but may be essential to improving cardiac monitoring of free-ranging whales and understanding diving physiology. So much to-do and see at SeaWorld San Diego – make TicketsatWork.com your first stop on the way to an amazing experience at this world famous marine park.